MIDNITE HELLION to Join OTEP on Select Dates of THE ART OF DISSENT TOUR! Additional New Jersey Shows with FATAL PORTRAIT and FLOTSAM & JETSAM Announced! 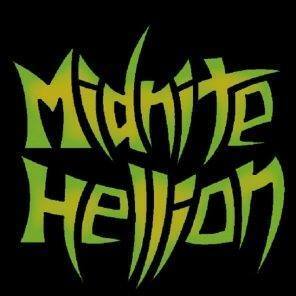 Trenton, NJ based Heavy Metal band MIDNITE HELLION have announced that they will be joining OTEP. The trio will be joining the tour on December 18 at Spicoli’s Reverb – Live Music and Bar Arcade in Waterloo, IA and will continue through December 23 at Liquid Joe’s in Salt Lake City, UT. Midnite Hellion will also be performing with FATAL PORTRAITand FLOTSAM & JETSAM at Dingbatz in Clifton, NJ in the future. The New Jersey-based Midnite Hellion is the epitome of die-hard DIY work ethic. The metal trio is pushing the envelope musically and has hard earned the reputation of a must-see live act. The band consists of seasoned musicians that have come together and created the monster now known as Midnite Hellion. The band’s full-length Condemned To Hell amongst several other releases have been well received by both the press and the listeners. It’s evident that these guys mean business. The band continues to write for the next release and play select regional dates. They have toured and supported many nationals including EXODUS, OBITUARY, YNGWIE MALMSTEEN, OVERKILL, PRONG, and MUNICIPAL WASTE to name a few. JOYOUS WOLF to Join BUCKCHERRY on WARPAINT TOUR! ALIEN WEAPONRY Kick Off First-Ever North American Tour Tonight! Copyright © 2019 by Antihero Media LLC. All Rights Reserved.